Memory Protection Devices offers five different types of ½ AA battery holders, providing the industry’s widest product assortment. 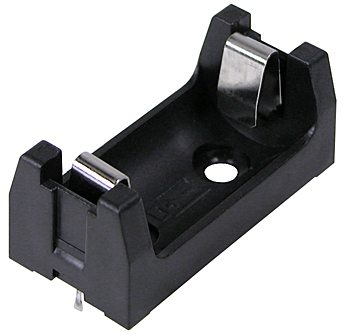 The BH½ AA-3 battery holder, which accepts PX28L batteries, is made of black PBT plastic with nickel-plated steel pressure contacts, and sits just 20mm above the PCB. Another version of ½ AA battery holder, the 6S-½ AA, also accepts px28L batteries, and sits just 15.1mm above the PCB. The 6S-½ AA is made from glass-filled thermoplastic with nickel-plated steel pressure contacts, and comes with PC pins for thru-hole mounting. The ABH½ AA combines a battery holder for PX28L batteries with a battery holder cover to provide a more rugged and reliable method of securing the cell. Constructed of black-filled thermoplastic, the ABH½ AA sits just 16.5mm above the PCB. 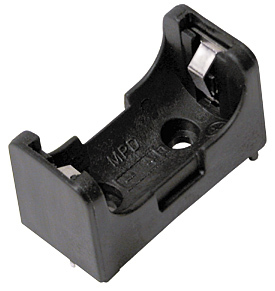 The highly secure battery retaining strap can be easily removed if battery replacement is required. The 815-0931 is the exact same battery holder as the ABH½ AA, but without the battery retaining strap. The 815-0931 sits just 15.25mm above the PCB, and is constructed from black glass-filled thermoplastic with dual pressure contacts made of nickel-plated steel. 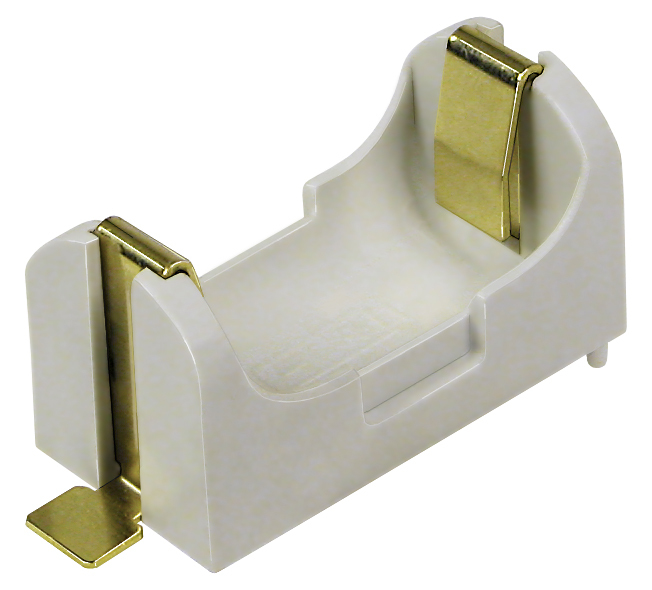 Unlike the other ½ AA battery holders, the BH½ AA-SM is constructed of white gas-filled nylon with gold flashed steel contacts. Use of gold plating provides greater corrosion resistance as well as reduced electrical resistance, resulting in a more reliable electrical connection. The BH½AA-SM battery holder sits just 18mm above the PCB, and comes with termination wings for SMT soldering. BH1/2AA-SM. 1/2 AA battery holder.